Bryant Taylor has served the Seventh Day Adventist church for 29 years, a dozen of those he served as Communication & IT Director intwo conferences. As a techno-evangelist he stands at the intersection where ministry & media merge and introduces people to digital discipleship. He currently serves as Worship & Media pastor at Azure Hills in Southeastern California Conference. He loves reading, cycling and photography. He lives with his wife, Tara and their bird Birckey. Kaleb Eisele is the founder and editor of Humans of Adventism, a social media storytelling platform that shares the questions, perspectives, and accounts of people in the Seventh-day Adventist church. Kaleb’s history in journalism and digital marketing led him to put his talents to use at his local church, and was encouraged by an elderly congregation to develop them more fully. Midway through its second year, Humans of Adventism has published nearly 150 stories and over 4,000 Facebook followers both Adventist and otherwise. As a speaker, Kaleb often emphasizes innovation and connection: creating the maximum amount of lasting impact with minimal resources, and creating relationships that last. Erica Jones currently serves as the Assistant Director of Women’s Ministries for the North American Division. She received her undergraduate degree in English from Southern Adventist University, after which she accepted a position in the General Conference Youth Department as an editorial assistant where she managed the One Year in Mission initiative. Her primary ministry is working with teen girls and developing resources that address the real issues they face. She also dedicates time to the continuing emphasis in Women’s Ministries on abuse prevention and education. One of Erica’s greatest desires is to empower young women to have the tools to make wise choices in their relationships, recognizing that the choices they make now will impact them for their entire lives. Erica lives in Howard County, Maryland, with her cat and two horses. Justin Khoe, YouTube Influencer: "That Christian Vlogger"
Born in Puerto Rico and raised in New York, Emily Long made the move to Chattanooga, TN, where she attended Southern Adventist University. She began working at the Chattanooga Times Free Press in 2004, where she oversaw the creation of three Spanish-language newspapers. She then made the move to the newspaper's magazine division, where she became senior designer. She currently works for CMC Publications, where she's in charge of art and creative direction, along with layout and design, for 16 local magazines a year. Using her experience in the publishing field, she — along with the Georgia-Cumberland Conference — created 71.5 magazine, a magazine for Adventist youth and young adults in the Southeast. 71.5 is a peer-to-peer publication, written, photographed, and illustrated by young adults, for young adults, with a focus on creativity and expression. Emily lives with her husband, Patrick, and attends Hamilton Community Church. Daniel Bruneau is passionate about creating bespoke user experiences for business and mission that shift existing thought processes and organizational culture into a data-driven, human-centered mindset. He has created and led User Experience organizations in a range of industries including Delta Air Lines, AT&T, Yahoo!, Georgia Institute of Technology and University of London. His background in the field of Experience Design and Innovation began while partnering with NASA for his Doctoral degree in the field of Human-Computer Interaction. 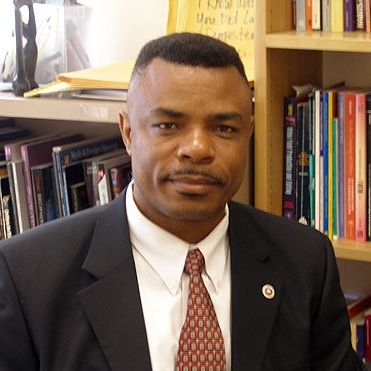 Although he originally hails from London, Daniel and his wife live just outside of Atlanta, GA.
Dr. Kehbuma Langmia is a Fulbright Scholar/ Professor and Chair in the Department of Strategic, Legal and Management Communication, School of Communications, Howard University. A graduate from the Mass Communication and Media Studies Program at Howard University in 2006, Dr. Langmia has extensive knowledge and expertise in Information Communication Technology (ICT), Intercultural/International Communication and Social Media. Since earning his PhD in Mass Communications and Media Studies from Howard University in 2006, he has published 12 books, 14 book chapters and 9 peer-reviewed journal articles nationally and internationally. He regularly gives keynote speeches on Information Communication Technology and Social Media in prominent national and international universities, including the Library of Congress, the National Intelligence University (Department of Defense, USA) and National Defense University ( Department of Defense, USA); Morgan State University ( Maryland, USA); Bowie State University ( Maryland, USA); Melbourne University (Australia); Buea University (Cameroon), Madras Institute of Technology, (India); ICT University, (Cameroon) and Covenant University (Nigeria), Makerere, University Business School, MUBS, (Uganda) and Temple University, Pennsylvania. He leads the Information Communication Technology Doctoral Consortium annually (under the ictforafrica.org conferences and seminars) throughout Africa. He was the 2017 Maryland Communication Association Keynote Speaker holding at College of Southern Maryland, Waldorf, MD. His most recent books are: Black/Africana communication theory, Published in 2018 by Palgrave/ Macmillan Press;“Globalization and cyberculture: An Afrocentric perspective” and “Social Media: Culture and Identity”, published in 2017 by Palgrave, Macmillan Press & the latterco-edited with Tia Tyree published by Lexington Books. Others include:“Social Media: Pedagogy and Practice” which he co-edited and authored two chapters in it has been published by Rowman and Littlefield Publishers, 2014. Shanna Crumley is the co-founder and co-CEO of Bitae Technologies, a social tech company that aims to improve refugee access to employment. Shanna and her co-founder started Bitae at Columbia University, winning the Global Public Policy Network competition and the School of International and Public Affairs Dean’s Challenge Grant competition. They are currently based at the Columbia Startup Lab in New York. Shanna’s interest in human-centered communication stems from her experiences traveling to more than 35 countries and working in Colombia, Indonesia, Argentina, Jordan and Greece. She interned at the State Department and worked at a refugee resettlement agency before serving as a Peace Corps Volunteer in Colombia. Most recently, she has consulted for Purpose’s UNICEF and UN Human Rights portfolios. She holds a master’s degree in International Affairs from Columbia University and degrees in intercultural communications and Spanish from Pacific Union College. Federal Student Aid is the largest provider of student financial aid in the nation, providing more than $150 billion in federal grants, loans, and work-study funds each year to more than 15 million students paying for college or career school. Jared Anderson currently serves as a senior member of the Digital Engagement group responsible for the development and implementation of Federal Student Aid's digital engagement strategies, policies and procedures that align with FSA goals established by the U.S. Department of Education. In conjunction with the Digital Engagement advisor, Anderson shares the responsibility and accountability for planning, organizing, and directing core projects and functions by evaluating complex digital engagement needs or situations to convey complex techniques of strategic and tactical communication related to Title IV programs that affect principle internal audiences. Anderson consults senior managers throughout FSA on requirements and enhancements for enterprise-wide digital engagement strategies and implementation, as well as contribute to key project reviews, drafting budget requests and recommendations on readjustments in funding and timelines. Anderson also represents FSA at interdepartmental and interagency digital engagement related initiatives to maintain collaborative community relationships with internal and external stakeholders, including groups creating policies, procedures and developing best practices. Previously, he worked as an electronic journalist for the news division of the American broadcast network NBCUniversal; one of the world's leading media and entertainment companies. Anderson worked for editorial and technical managers to assist the local editorial operation for Nightly News, Today Show, Meet The Press, and Redskins Showtime, ensuring that the voice, tone, and mix of content fit with the overall editorial strategy. He interfaced with on-air talent, television newsroom staffers, photographers, TV producers, editors, master control and engineering. William Pierce, senior director of APCO Worldwide, joined the firm in 2005. Mr. Pierce specializes in providing strategic advice and counsel, tactical execution and representation to health care clients. He helps clients develop strategies and tactics that combine media relations, policy, advocacy and alliances in campaigns to achieve definable objectives. He also provides crisis communication training and counsel. Prior to joining APCO, Mr. Pierce served as the deputy assistant secretary for public affairs at the Department of Health and Human Services (HHS). At HHS, Mr. Pierce was senior spokesman for the department and the secretary, and provided public affairs counsel to HHS and its agencies including the Centers for Medicare and Medicaid Services, the Food and Drug Administration, the National Institutes of Health, the Centers for Disease Control and Prevention, and the Office of Global Health Affairs. He also worked with HHS Secretary Tommy Thompson on the HHS’s diet and exercise campaign. Mr. Pierce is an adjunct professor at The Johns Hopkins University Advanced Academic Program, where he teaches classes in media relations and crisis communication. Prior to HHS, Mr. Pierce served as the director of public affairs for the Blue Cross and Blue Shield Association, and before that worked first as a press secretary for Congresswoman Olympia Snowe (R-ME) and then for Congressman Bill Thomas (R-CA). Before working on the Hill, Mr. Pierce was director of communication for the National Taxpayers Union, an account executive for Hill & Knowlton and a research associate with Government Research Corporation. He began his career in Washington as a research analyst for the National Republican Senatorial Committee. Mr. Pierce holds a Bachelor of Arts in political science and English and a master’s degree in international relations from the University of Pittsburgh. He is a member of the Washington, D.C., Dean’s Advisory Council for the Graduate School of Public and International Affairs. Mr. Pierce also holds the designation of Professional from the Academy for Healthcare Management. In 2000, he became a founding member of the George Mason University Mercatus Center’s Advisory Council for Capitol Hill Programs – a center providing educational programming on a wide variety of issues to Capitol Hill staff and members of Congress. Jaya Bohlmann, a graduate of Columbia Union College, has 20+ years of corporate, agency, nonprofit and association PR experience, an MA in communication, and the APR credential. She believes that brands and reputations are built from the inside out, and loves the people side of PR and marketing. She is a culture and change consultant and career coach, with an MS in management and organization behavior, and an International Coaching Federation credential (ACC). Jaya’s hometown is Washington, D.C., where she began her career at neighboring Shady Grove Hospital, and also has lived in Los Angeles and Chicago. She has served in leadership and consultant roles with Burson-Marsteller, Sodexo, Ogilvy PR, American Red Cross, Adventist Health, Johns Hopkins Medicine, and many other national and global organizations. She also is an educator, having served as an adjunct communications professor at Washington Adventist University, and currently serving as professor of communication at University of Maryland College Park. Jaya is a master connector and draws on her network in multiple industries to make outstanding professional matches. She is especially passionate about how corporate culture, change, diversity and inclusion affect the candidate, employee, and hiring manager experience. Jaya provides career services including coaching, resume services and interview preparation. Anne Duffy is a talented coach, educator, corporate communications professional, mentor, and triathlete. She has fifteen years professional experience in corporate communications, public relations, and teaching/training. Her expertise is gained across industries including aerospace, humanitarian aid, technology, travel and foodservice, including among several Fortune 500 companies. She has also worked for faith-based global non-profit World Vision. Fluent in French and German, Anne has built relationships with local, national, and global audiences to achieve success in an international business landscape. Today, she owns her own leadership coaching and mentoring business, The Right Duff Coaching. She is an Associate Certified Coach (ACC) with the International Coach Federation. In her business, Anne coaches and mentors mid-career professionals to figure out “what fills their cup.” She also conducts workshops and speaking engagements. Does my job fulfill me? If not, what will? WTOP Morning Anchor Bruce Alan is known for his easy manner and has been a comfort to WTOP listeners since 1990. His ability to stay calm and focused in a crisis makes him a steady and reassuring presence during the chaos of breaking news. Over the years, Bruce has been honored with numerous awards, including the Edward R. Murrow Award from the Radio-TV Digital News Association, and regional awards from the Associated Press and other news organizations. Liz Anderson has loved radio since her days at Oakwood College where she landed her first job as an afternoon news anchor and weekend DJ as a freshman. Her career and education have taken her through country radio, work in Christian talk and gospel formats, teaching, and earning a master’s degree at American University. At WTOP-FM, Liz works as an assistant editor, editor and reporter. A lifelong Seventh-day Adventist, Liz lists haystacks among her favorite foods. In her spare time, she produces and hosts the Planet Noun podcast and blogs at planetnoun.com. Judy Taub's love of history, politics and news makes journalism the perfect profession for her. She’s the heartbeat of the newsroom working closely with the anchors to ensure each newscast is filled with the most up-to-date information. With 30 years at the editor’s desk, Judy is an expert at speaking to the overall operation of the news room. Somara Theodore is a Meteorologist with StormTeam 4 at the local NBC affiliate in Washington, DC. Her forecasts can be seen during the weekend editions of News4, and also heard on 103.5 WTOP Radio. She joined News4 in 2016. Throughout college Theodore conducted research with a NASA-funded research team. She graduated from Penn State University with a major in Meteorology and minors in Energy Business and Finance as well as Mandarin Chinese. Theodore is an EMMY award winning meteorologist. Julie Zauzmer is a Washington Post reporter covering religion, faith and spirituality. The Philadelphia-area native has been at the Post for nearly five years. Her prior journalism experience includes a four-month reporting stint in 2013 at the Philadelphia Inquirer and as the managing editor of The Harvard Crimson from January to December 2012. While a student at Harvard, Zauzmer wrote the book Conning Harvard: The True Story of the Con Artist Who Faked His Way into the Ivy League, about Adam Wheeler, who was convicted of fraud for faking his way into Harvard. The book was based on Zauzmer’s reporting for the Crimson. John Armand is an Emmy and Edward R. Murrow Award-winning television producer, film maker and journalist. John has been a broadcast journalist since 1981. He began his career as a consumers' rights intern at WXYZ-TV in Detroit. He worked for WXYZ for 2 years and then went to work as a regional producer for Satellite News Channel. 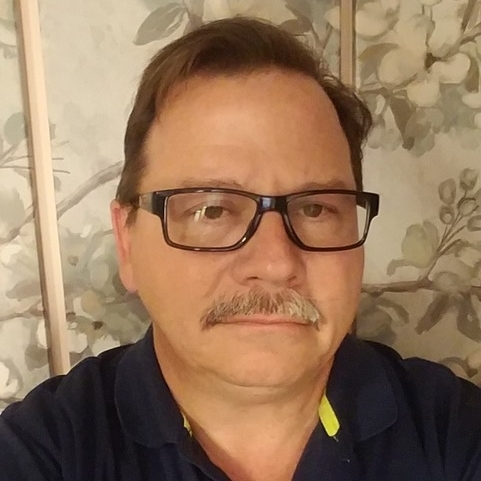 John has worked coast-to-coast and North-to-South managing daily news coverage at several local news stations around the country including working as executive producer at WLUK, WVUE and KMAX, and assignment manager at WALA and WFLA. 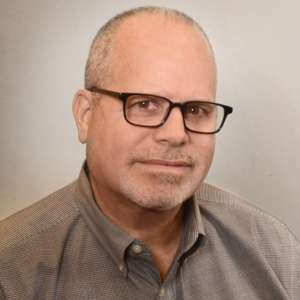 He won numerous Associated Press and Press Club wards and also won a regional Emmy for a series of reports on consumer fraud being conducted by some electronics stores in New Orleans. In 1998 John went to work at Dateline NBC. His work there included hidden camera investigations and “living in the moment” homicide investigations. John was “embedded” with homicide teams for months at a time in both Las Vegas and Phoenix. He won an Edward R. Murrow Award for one of those homicide shows. John has produced news and documentary programming for several networks including ABC, CBS, Fox News Channel, and NBC. John has produced numerous documentaries for NBC, Discovery Channel, PBS and other networks. John currently runs his own production company working for various networks, corporations, and education entities. He is also working on two film screenplays. He has two grown children and two grandchildren. John’s favorite quote is, "Follow your passion, and success will follow you," by Arthur Buddhold. Lou Ann Sabatier is a solution-oriented advisor who collaborates on strategies and ideas that change the course of ministry and business. During her 35+ years of experience as a publisher, trainer, and consultant, Sabatier has been deeply involved in strategic planning, business development, content strategy, business and financial management, audience development, revenue development, digital media and operations management. As Principal and Lead Consultant at Sabatier Consulting, she works with clients to diagnose their needs and offer creative and efficient solutions.